As I wrote in one of my previous articles, the industry is becoming more and more demanding of many metals. The perceived supply risk for essential raw materials used in the growth of green energy and other state-of-the-art technologies provides the motivation for investigating new sources of these raw materials. 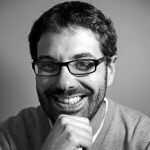 Many are considered critical, given the supply risks posed by geographic location, economic and political stability of the producing countries, the limited possibilities for substitution, and the current low levels of recycling. At present, twenty raw materials are listed by the European Union as having a critical shortage. Among these critical elements, rare earth elements (REE) form a group of fifteen elements (from La to Lu on the periodic table) necessary for applications in the low-carbon energy sector (e.g., batteries, magnets, low-energy lighting, wind turbines), industry (e.g., alloys, catalysis, oil refining), and other technologies (e.g., lasers, optics). More than 90% of REEs produced worldwide in the last 20 years have been mined in China — a near monopoly that reflects environmental and economic aspects rather than imbalanced resource distribution across the planet. Large primary deposits have been identified outside China, including several in United States, Australia, and even in Europe (including Greenland) (see the map below). Map illustrating the REE occurrences in Europe and Greenland (after Charles et al., 2013). Image courtesy of Johann Tuduri. The most commonly-used treatment for REE-bearing minerals (e.g., xenotime, bastnaesite, and monazite) is solvent extraction. Such a hydrometallurgical process uses strong acid or alkali leaches (sulfuric acid and sodium hydroxide) at temperatures of 200–400°C. This process is commonly referred to as cracking. An REE-rich leach liquor is produced, usually in the range of 1–40 g L−1 RE2O3, with slight impurity quantities. Co-leached elements are further separated from REE by solvent extraction and ion exchange using selective precipitation, with carbonates or oxalates, by pH adjustment. A mixed RE-oxide is then obtained by roasting carbonate and oxalate products. This alloy, known as “mischmetal,” is ready for sale and sent to dedicated factories. Depending on required end-use, the alloy is further separated into individual, high-purity RE oxides, or reduced to pure metal products. Separation of such mixed product into individual elements is intrinsically difficult due to REE’s very similar chemical behaviors. Multiple methods exist for doing such separation: selective oxidation/reduction, fractional crystallization-precipitation, and ion exchange. However, using solvent extraction with organophosphorus compounds (e.g., EDPA, HDEHP, EHEHPA, or TBP) remains the most efficient method. Eventually, multiple iterations are required to achieve the high-purity individual rare earth oxides (REO): this is energy- and material-consuming. Another issue associated with REE production is the management of radioactive waste. Indeed, most REE-rich primary magmatic deposits have high actinide concentrations. Monazite, for example, may contain 4 to 12 wt% of thorium (Th), and although uranium (U) concentrations are usually low, anomalous content of up to 14 wt% can occur. Uranium and Th are both concentrated during REE beneficiation. Moreover, tailing wastes may display high radioactivity levels after cracking. Radioactive element co-production is achievable for the highest U-Th concentration ores, albeit with significant additional costs. These issues have led to outstanding pollution in China and Malaysia. For many sites, industrial processing is followed by costly remediation and waste disposal in long-term storage. Significant radioactive element concentrations constitute important economic drawbacks for any new REE exploitation project. Considering the problems associated with magmatic-related REE deposits, and despite their abundance, alternative REE sources that are more readily beneficiated with low radioactive waste are attracting attention alongside efforts to increase recycling of REE from scrap or end-of-life consumer products. The abundance of neodymium-iron-boron magnets (NdFeB) in cell phones, hard drives, and wind turbines form the main target for recycling, with promising results on Nd recovery shown in the laboratory. In addition, the development of REE production from industrial waste or byproducts such as red mud and coal residue has attracted considerable interest. These formations contain REE-bearing minerals and/or adsorbed REE that are transferred to waste during the initial ore processing. These wastes constitute a low-grade resource with economically significant tonnage due to the prominence and spread of the coal and aluminum industries. Other alternative sources — including seafloor deposits such as ferromanganese nodules, hydrogenetic crusts, and marine clays — can have significant REE concentrations (Josso et al., 2017). Although of scientific interest, their relative inaccessibility and the need for advanced mining technologies makes it a challenge to exploit them economically. As an approach to establishing methods for REE-extraction from such marine formations, sub-aerial equivalents of these deposits preserved in ophiolites (i.e. slices of ancient oceanic crust now present on land that provide ease of access and sampling) were investigated. 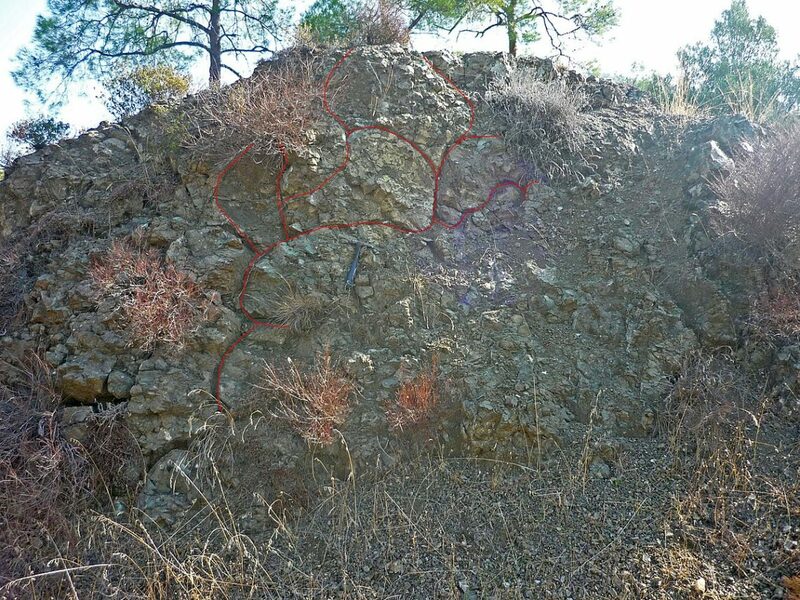 The ferromanganese metalliferous sediments of the Troodos ophiolite (Cyprus), also known as umbers (i.e. a natural brown or reddish-brown earth pigment that contains iron oxide and manganese oxide), were selected to achieve this objective. These deposits represent a direct analog of actual oceanic metalliferous sediments formed in the vicinity of hydrothermal vents and have been exploited for color pigments for hundreds of years. Nevertheless, the processing of these deposits as potential REE sources has never been documented. The potential REE recovery from umbers, as an analog to numerous oxide-based deposits found on land, was investigated (Josso et al., 2018). It may provide an alternative to magmatic-related REE deposits that currently dominate the global supply chain. Therefore, the influence of various kinetic parameters was investigated. The efficiency of oxalate precipitation for the selective extraction of low-concentration REE from other impurities present in the leach liquor via pH-dependent experiments and geochemical modeling was also checked. Rare earth elements can be efficiently extracted from umbers through simple leaching and selective precipitation without accumulation of radioactive by-products. Umbers are dominantly composed of amorphous Fe and Mn oxides with minor goethite, quartz, and zeolites, and contain 350–500 mg/kg of REE, 200 times lower than many of the major REE source ores. To compensate for relatively low grades, a cost-effective extraction process was developed that utilizes a weak lixiviant concentration (0.1–1.5 mol/L) and short reaction times (5 min to 11 h). Acid solutions recover 70–85% of the initial sample REE content, even at 20°C. Conversely, extraction using ionic solutions of sodium salt and ammonium sulfate proved to be ineffective. Acid recoveries of REE increased by nearly 10% at 70°C and the use of different acids (chloridric, nitric, or sulfuric) yielded comparable results. The main impurities in the leachate include calcium and sodium even at the weakest acid concentration (0.1 mol/L). However, a two-step leaching method greatly reduces concentrations of impurities in the REE-rich liquor, although REE losses were approaching 20%. Leach liquor purification via selective REE precipitation as an oxalate is highly efficient, although pH-dependent. With maximum REE precipitation (96 to 99%) occurring between pH 1 and pH 2, precise pH adjustment allows REE separation from other precipitating impurities (e.g., calcium). The precipitate maximum purity was achieved at pH 1.1 (> 65%). Strong and consistent fractionation along REE series observed during the precipitation experiments has been successfully explained using speciation modeling (with PHREEQC software developed by USGS). Rare earth element uptake by oxalate in the experiments closely follows the bell-shape distribution of REE-oxalate solid complexes stability constant, replicating the fractionation trends observed at pH < 1.1. In addition, modeling demonstrates that at equivalent REE concentrations in solution, oxalate precipitates fractionate REE in the following order: middle REE (from Sm to Tb) > light REE (from La to Nd) ≫ heavy REE (from Dy to Lu), coherently with solid REE-oxalate stability constant distributions. Eventually, the combined leaching process and selective oxalate precipitation produce a total enrichment factor ranging between 1,400 and 2,400 for REE, from the sample to the oxalate precipitate, in a simple two-step process which eventually forms a high-purity end-product of mixed REE. These findings are described in the article entitled Extraction and separation of rare earth elements from hydrothermal metalliferous sediments, recently published in the journal Minerals Engineering. This work was conducted by Pierre Josso, Steve Roberts, Damon Teagle, Carlos Ponce de Leon Albarran from the University of Southampton, Olivier Pourret from UniLaSalle, and Richard Herrington from Natural History Museum, London. This work is part of the Ph.D. dissertation of Pierre Josso. Charles, N., Tuduri, J., Guyonnet, D., Melleton, J., Pourret, O., 2013. 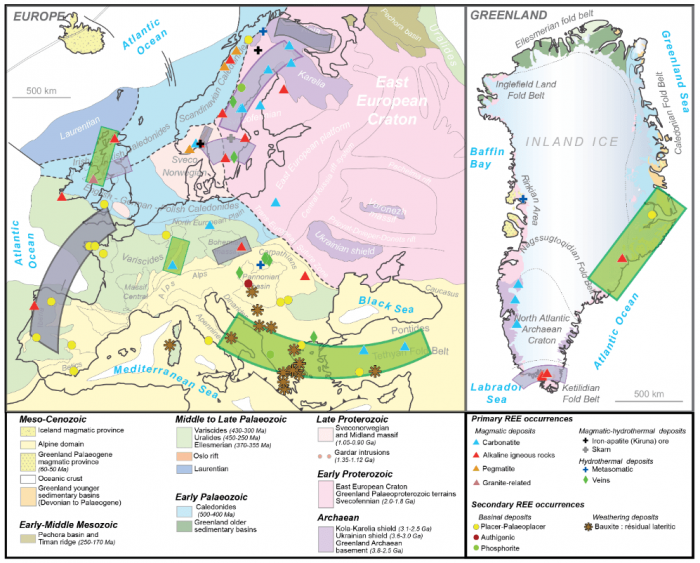 Rare Earth Elements in Europe and Greenland: A geological potential? An overview. In: Jonsson Eea (Editor), Proceedings of the 12th SGA Biennial Meeting, Uppsala, Sweden, pp. 1698-1701. Josso, P., Pelleter, E., Pourret, O., Fouquet, Y., Etoubleau, J., Cheron, S., Bollinger, C., 2017. A new discrimination scheme for oceanic ferromanganese deposits using high field strength and rare earth elements. Ore Geology Reviews, 87: 3-15. doi:https://doi.org/10.1016/j.oregeorev.2016.09.003. Josso, P., Roberts, S., Teagle, D.A.H., Pourret, O., Herrington, R., Ponce de Leon Albarran, C., 2018. Extraction and separation of rare earth elements from hydrothermal metalliferous sediments. Minerals Engineering, 118: 106-121. doi:https://doi.org/10.1016/j.mineng.2017.12.014.